Many Senior Residents Depend on Generous Donations to Bridge the Gap Between Their Retirement Income and Rising Cost of Housing. Local Businesses Can Make a Positive Impact on the Lives of Seniors Through Giving Programs. WILMINGTON, Del. - April 26, 2016 - PRLog -- Larry Cessna, President and CEO of Ingleside Homes, Inc., received a $10,000 award on April 5th from the TD Charitable Foundation, the charitable giving arm of TD Bank, America's Most Convenient Bank®. This award will support the Benevolence Fund program that provides funds for services to seniors living at Ingleside. 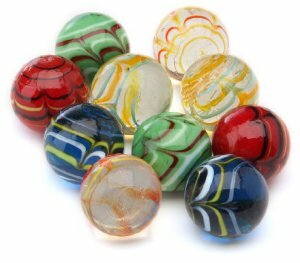 During the current fundraising campaign, Ingleside Homes has a visual display in the corporate lobby, a jar filling up with marbles of varied sizes to depict incoming donations. The award from TD Charitable Foundation will add ten large marbles to the display jar. Ingleside Homes Inc. is a non-profit agency that provides senior living options and social services to over 250 residents housed within independent retirement apartments and assisted living facilities. Over $8.5 million in funding has been raised by local companies and organizations to support Ingleside Homes since 2003. "We award over $130,000 in benevolence funding annually to assist seniors in our retirement community who would not otherwise afford the service fee or meals," stated Larry Cessna. "Donations from our business community positively and directly impact many seniors." The Benevolence Fund underscores the core values behind the mission of Ingleside Homes. Ingleside has never had to evict a resident due to their inability to pay for services. The funds provide meals, transportation, gap insurance, shelter and activities to support the elderly so they can remain independent longer. Larry Cessna acknowledged, "The average cost of a one-bedroom apartment in Wilmington is $999/month. When a senior only receives $771/month in social security income, the financial gap can only be met through the generosity of others." Together, TD Charitable Foundation and Ingleside Homes Inc. share an important role in sustaining vibrant and thriving communities in the Delaware area. TD Charitable Foundation carries a legacy of supporting nonprofit institutions and their important work in the local community. This recent $10,000 award is a welcomed addition to the generous support from many donors. Ingleside Homes, Inc. (IHI) is a nonprofit (501-c-3, # 51-0113243) health and social service agency located in Wilmington, Delaware. Since 1971, Ingleside Homes Inc. has provided affordable retirement living, health care, and community outreach to a diverse population of modest income seniors in the Delaware area. Ingleside's mission is to ensure that seniors, regardless of their level of income, have an opportunity to live the fullest possible life at his or her highest level of independence. Ingleside fosters a culture that values and respects staff, volunteers, and those we serve. To learn more about Ingleside Homes Inc., please visit www.inglesidehomes.org. A staunch commitment to active involvement in the local community is a vital element of the TD Bank philosophy. TD Bank, America's Most Convenient Bank® and the TD Charitable Foundation provide support to affordable housing, financial literacy and education, and environmental initiatives, many of which focus on improving the welfare of children and families. The TD Charitable Foundation is the charitable giving arm of TD Bank N.A., which operates as TD Bank, America's Most Convenient Bank®, and is one of the 10 largest commercial banking organizations in the United States. The Foundation's mission is to serve the individuals, families and businesses in all the communities where TD Bank operates, having made more than $153.6 million in charitable donations since its inception in 2002. The Foundation's areas of focus are affordable housing, financial literacy and education, and the environment. More information on the TD Charitable Foundation, including an online grant application, is available at www.TDBank.com. Wilmington City Council President, Theo Gregory sets the pace for Ingleside’s Benevolence Fund!